Cut ties to the past and form new bonds in EA's adorable platformer sequel. 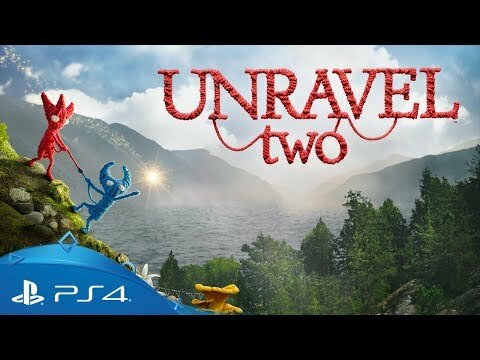 Unravel Two is an adorable co-op focused, puzzle-platforming adventure from the team behind 2016 sleeper hit Unravel. Jump, slide, swing and run faster than ever before through beautiful natural landscapes and complex urban areas, solving challenging puzzles and watching your environment come to life. Play as two 'Yarnys' (tiny magical creatures made of yarn and joined by a thread) in a puzzle-platforming adventure. Traverse your way through a world of natural beauty and shadowy dangers, either on your own - controlling both Yarnys at once - or with a friend in local co-op. Begin your adventure in a cold and imposing land, then watch your surroundings blossom with new life as you pursue your adventure. Approach every challenge with positivity and fearlessness to awaken the world around you, and discover an unbreakable bond between friends. When you cut ties to the past, new bonds form. In Unravel Two, create a Yarny of your very own. Then build relationships with other Yarnys in local co-op or as a solo player, fostering friendship and support as you journey together. Rescuing Yarnys earns you new patterns that you can use to customise your main characters. Visit the “Appearance” tab on the menu screen anytime to try out different heads, eyes, bodies and colors of yarn – everyone has a Yarny, and you can use Unravel Two to create yours.